I am an honest, professional man living and working in Bedford, NH. 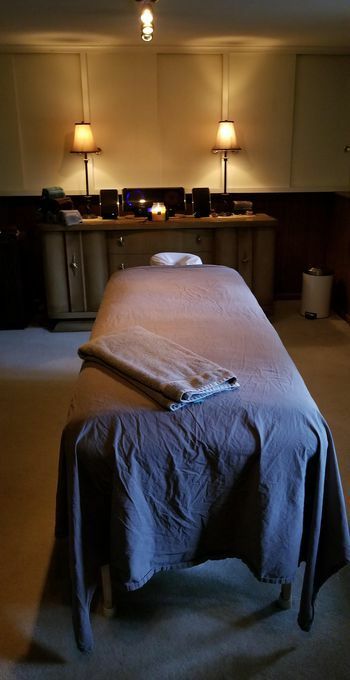 I offer bodywork/massages and am available to work many days, evenings, and weekends, with men exclusively, in my private home studio in Bedford. I was fully trained and have been practicing for over 29 years, and am proud to say that I've developed a very loyal following. All men are welcome regardless of age, race, build or orientation. Advanced scheduling by...More email or text is highly recommended and appreciated. Please be specific as to what times/days work best for you. I'm happy to take same day appointments, but it is often difficult to make those work. Please don't call or text after 9 PM. Thanks for your interest and time, and I hope to meet you soon.